« Cat Picture: I Know You Are, But What Am I? It’s been a week since PetSmart pulled various Smokehouse brand chicken and duck pet treats off of their shelves. And it’s been almost two months since Wal-Mart pulled Bestros chicken jerky strips from their stores. The FDA continues to investigate various chicken jerky pet treats for contaminants. As of yet, they have not found any toxins, including melamine, in the products. There have been no official recalls of any brand of jerky treat products for pets. Other retailers like Costco and Walgreens that stock other brands of jerky pet treats said they would continue to carry their jerky products. The FDA said they have received 11 consumer complaints about jerky products, all chicken flavored. Symptoms of ill pets have been compared to Fanconi’s Syndrome. But veterinarians think the number of affected pets may be much higher because Fanconi’s syndrome is so uncommon that it is often hard to diagnose. This entry was posted on Friday, September 21st, 2007 at 4:00 am	and is filed under Pet Food Recalls & Safety, Cats, Dogs, National Dog, Cat & Pet Info, News for Cats, Dogs & Owners. You can follow any responses to this entry through the RSS 2.0 feed. Both comments and pings are currently closed. Until we get more information, I’m staying out of Costco. Until we know the truth about what is in these treats , that is making pets ill and killing them , I am not buying any of them. I was in a family dollar store last night checking the treats and it appears DelMonte has removed made in China from the label. The label doesn’t say what country they are manufactured in , so until they say made in U.S.A. with all ingredients made in U.S.A. I am not buying them! I had a feeling once people started to boycott anything made in China, they would remove that from their labels. Funny how they can keep the old labels & use that as an excuse when we question a certain ingredient but the minute people start to boycott anything made in China, how they can come up with new labels pretty damn fast. I guess the expense of new labels is worth is when you need to deceive the public & sell your toxic product. I guess if it doesn’t say where it’s from……most companies will proudly state that it’s made in the USA……I don’t buy it. I was wondering if those jerky treats were made from sick birds to begin with, would testing for toxins show anything? I know there’s something wrong with those treats & can’t understand why it’s not showing up. Because it was never made public, lots of pet parents are probably still feeding those to their dogs. Very sad. Although we don’t want it in our pets’ foods, we’ve never really been concerned about melamine because it WASN’T responsible for killing the pets. DO let us know your results in real-world time, not FDA time. I’m willing to contribute a little money toward testing to find the answers. no matter what you are feeding your dogs and cats, if it is commercial treats, it is a gamble. I just can’t bring myself to gamble with my beloved pets health and life. I don’t buy commercial treats anymore and string cheese or other people foods that are somewhat healthy serve that purpose and my pets are VERY pleased with no danger lurking around every feeding. I’d like to know how and what kind of testing Costco does on their products? How about they post their test results on the web to show the public the safety of their products. It’s one thing to say they test and another to actually show it. I was wondering if those jerky treats were made from sick birds to begin with, would testing for toxins show anything? I know thereâ€™s something wrong with those treats & canâ€™t understand why itâ€™s not showing up. Could be some sort of chemicals that are used to denature the chicken carcasses, increase palatibility, or boost protein content. Lots of possibilities, to be sure. We’ll never know unless pet owners get the treats tested. They are not supposed to be importing chicken from China at all are they? China’s number one agricultural goal is to break into the poultry market (for human consumption) IN THE U.S. To my knowledge, presently the U.S. only allows U.S. chickens to be sent to China, be processed there and then be shipped back here for sale. So far only because they have been very vocal, the U.S. poultry industry have been able to postpone this. “Government authorities are working on a proposal to allow chickens raised, slaughtered, and cooked in China to be sold in the United States, and under current regulations, store labels do not have to indicate the origin of the poultry. It’s pretty scary stuff when you think that products are produced here (seafood, chicken, etc. ), and then SHIPPED to China for labor & processing, and THEN RETURNED HERE once again for sale. Wouldn’t anyone think it would be cheaper just to process the goods here and still make a hefty profit? Guess the deal is just too good in China. With the cheap labor, no wonder greedy corporations took their manufacturing to China. Absolutely disgusting. We saw on a trading website advertising chicken treats for pets that the company obtained its chickens from veterinary offices and approved slaughter houses. Let’s see… What state would the poultry be in if they’re obtained from vet offices? So just where does Smokehouse get their products? Now you see Smokehouse buys cheaply from anyone on AliBaba. The treats come from anyone who makes a deal with them–there’s no one supplier or factory. Some of the treats may be contaminated and some not–it depends on who they were obtained from. Yellow plastic jar Qingdao Pet Center shows its round chicken breast slices in with Smokehouse labeling instead. Or perhaps there is Dioxin contamination in everything. From the plastic food containers dumped into the pet food, to the vinyl lunchboxes, to the livestock and back again. Welcome to the wonderful world of PVC. You know, without the recalls I wouldn’t have learned all this. And sometimes wish I hadn’t. I will no longer buy treats for my dogs, I’m just scared and don’t want to take a chance. I ordered a food dehydrator and will use it and also, yesterday I made some quick treats. I took some steak, boneless pork and boneless chicken, I cut it in about 1 inch squares, baked it at 350 until it was crispy, baking close to top burner, and they loved them. And tey were not ene greasy. I keep in ref. and even my pickiest dog didn’t turn up her nose. It may cost a little more, and take a little time, but it’s worth it! Purringfur & menusux, THANKS again great posts. I know this sounds stupid but I was wondering about some of the things used in jerky. Such as lots of salt, soy sauce, worcestershire sauce, teriyaki sauce, onion & garlic, all of these are used a lot. I don’t use soy sauce in my house any more because of all I have heard. In my jerky I don’t use these for my babies. I was also wondering about toxic mold if the jerky wasn’t dried out enough. Now this really sounds stupid (maybe not if from China) does the same company make jerky for humans? I am going to the grocery store now so I am going to look at the jerky if they have it. Just thinking out loud & thought I would pass it on to you all. I wonder if these companies test for everything not just melamine in the treats. I read an article that the president said we would take China’s chicken if they were cooked first before being brought to this country. The FDA found in a warehouse several chickens that were not cooked and imported here from China. So it is getting into this country because the FDA cannot check it all. Wish I could find the article and post it. I know I read about it though. If they are importing chicken not cooked from China then I must ask who is buying it? I don’t want any chicken from China! Cooked or not! I do not believe that a company would export the chicken and make a product and then import the product back. Too much money envolved! The cost of the product would be too high then. I am very angry that Walgreens, Walmart and others would keep any product on their self that could possibly harm any animal! Until they know for sure they should have removed the treats. They do not know for sure! I do not believe they have tested the treats properly. So they don’t contain melamine! There are too many other toxins that can harm pets! They need more testing! Keeping the treats on the self just makes me sick! Is profit so great that the life of an animal means nothing? What happens to all their profits when they kill all the pets off? Who will they sell to then? It is a quick buck business and they do not realize their stupidity. Just came back from Giant Eagle, no jerky but dried which is the same thing only not dried as much. Dried beef, chicken & lot of different kinds of fish all distributed by & a long, long list of ingredents. Snow’s clams, made in USA not their any more, only clams distributed by CBumble Bee Seafoods,LLC San Diego, Ca (the C has a circle around it). All the sardines same thing. I am going out tonight to other stores to buy clams in case the other stores are dropping Snow’s. Sorry forgot to say manager said they wern’t going to carry Snow’s any more. I know him so I told him what I thought about that. Giant Eagle’s are independently owned so maybe your’s will still carry Snow’s clams. Chinese Chickens for Jerky come from “VET OFFICES & DEPARTMENT OF AGRICULTURE APPROVED FARMS & SLAUGHTERHOUSE” according to the ad that was on the website. I believe we discovered the ad was subsequently taken down. Why are animals taken to vet offices? Do you think the chickens just went there for a check up and were left behind? Or do you think they were sick or dead? Sick or dead from what illness? So that means they use material from the Â¡Â°vet. officeÂ¡Â± to make their treats? And are concerned about Avian Flu? Gosh, I hope NOT! I don’t think so, …yet. But the Chinese gov’t. is working on breaking into the cooked chicken market for U.S. sales. Hey, don’t worry because the chicken will go through a “unique microwave system under 120Â¡Ã¦ (248Â¨H) to ensure the CORE temperature meets the minimum standard of 70Â¡Ã¦ (158Â¨H) to kill the virus in ALL PARTS” just as it does for the chicken pet treats. Can any of you answer these questions? Did the links you put up here mean this? - the plastic bags that We bring home from Wally world, and grocerey shopping have metals in them? What about the large storage boxes [plastic] that were bought at WM, do they contain metals, lead, etc.? Should We be getting rid of all thses things? Dog food, cat food bags, . what about plastic cat boxes? There’s so many things I want to know I can’t even think of all of them right now. And also the plastic on the foods we buy? And is alumnimum foil safe? While I was in a local grocery store I checked out the jerky — for people– lots of it is coming from China. Yikes! My dog is suffering from Kidney damage after eating the Bestro Treats…. $6,000 in vet bills that continue adding up but our guy, Doc, is still hanging in there. Many were not so lucky. It says in the article that 11 dogs have been made ill after eating the Bestro treats. Do you really think that only 11 dogs have been made ill and Walmart was willing to take these treats out of their store. Oh sure! They can try to minimize this but it will all come out. Matter of fact, if it were covered by the media the way it should be we would be hearing from a heck of a lot more victims. I didn’t know what was going on with Doc — he became sick in early July — until I heard a blurb on CNN. More coverage please! And people PLEASE if you gave your pets these treats and they got sick please, please call the FDA and report it. IT IS SO EASY! It is done right over the phone. Purring Fur, Thanks again for that great post. I remembered reading all that too but would take me days to find out where. Looks like Vicki answered my question on human jerky. I’ll keep making my own for my babies. I put my receipe on one of the threads about jerky that I make for my dogs & kitty plays with it too. Please everybody make your own, if you dont have a dehydrator use your oven just make sure it’s all the way dry. It is so simple. Vicki, i’ll keep praying for your baby & you. We are all going to ending up living like the 1700’s & having no money. If this works this is where I found toys and things for pets. It didn’t work, but takes you where You can look at some things. Just put in PVC. I was very surprised. This one should work. It is what a lot pet toys, toys, and food are packed into. JennyBark said: I put my receipe on one of the threads about jerky that I make for my dogs & kitty plays with it too. Please everybody make your own, if you dont have a dehydrator use your oven just make sure itâ€™s all the way dry. It is so simple. Thank you for sharing your recipe to help others keep their pets safe. Posting recipes & tips helps others realize that they can make safe treats for their animals, too. People here are so selfless, sharing information, all for benefit of our pets. I’ve learned so much here from all of you and can’t begin to thank you and Itchmo for providing this forum. I was on a few other sites today (not recall sites), and people were still asking about Bestro jerky and other brands and talking about their sick pets and those they had to put down recently. I referred them to this site and the information we shared about the brands, Fanconi Syndrome symptoms, treatment, etc. There are still people out there relying on the FDA’s recall page and are assuming because they didn’t hear of a recall on the news, that all is well. Yeah, it is interesting stuff. I became aware of it after I watched the latest House Committee Hearing on the Toy Recalls. One of the panelists I believe was answering a question raised to him on how to destroy the recalled toys. He said something to the effect that you couldn’t burn them because when PVC is heated or burned that it releases Dioxin! That made me take notice because of the talk of the plastic meat trays that go into rendering. Then I just had to search it out. Here is the webcast of that hearing if anyone wants to watch…. Gee, who didn’t know the FDA can’t find toxins in pet food? We lost our dog to Bestro’s Chicken Jerky Strips on 9/18/07. The vet wanted to put him down last month but we brought him home and tried to nurse him back to health with no luck. I am angry that this type of thing can continuously go on. I am currently in contact with our local FDA here in Baltimore, MD. Fortunately, we still have our receipt from when we bought this KILLER from Wal-Mart. Anyone have any suggestions on how to ease the pain? I am so angry because it still has not been recalled. Very sorry you lost your poor dog. Many sad stories are here because of dishonest pet food companies. The pain of losing a pet is difficult to deal with, but you may find that putting some of the offenders out of business will help. Do you still have some of the treats? Have them tested by Expertox in Arlington, Tx. My dog was sick with renal failure. I gave three bags of chicken jerky strips to the FDA in late August. Two weeks ago I received a registered letter from the Dept. of Health. The open bag contained DEG and EG (components of antifreeze). The strips were made in China, the company which packaged them is here in North Carolina and won’t return my phone calls. Antifreeze is a known killer of animals. My dog is sick with vomiting, diarrhea and hasn’t kept food down for over a week. Her kidneys aren’t functioning properly. My veterinarian consulted with another area veterinarian, who had three dogs in the past week with the same problem. 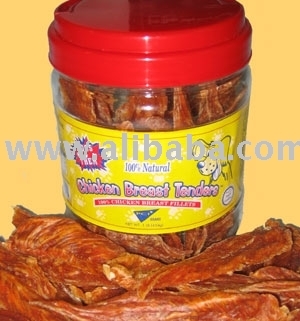 The common factor was dried chicken strips from China. We bought the Smokehouse brand treats from Petsmart. In researching this, I see an article that Petsmart had pulled these products in September, but they are now back on the shelves at our Petsmart in Longmont. I spoke to the manager about my dog becoming severely ill with these products, and he said that Petsmarts “voluntary recall” was to pull the products off the shelf in September and replace them with new lots. So much for the recall. Smokehouse’s web site denies that there was any problem with the products. Joanne–how did you get your product tested? I would like to have it done with the remaining product we have, but I get no response from our FDA office in Colorado. Joanne - I live in the Washington, DC are and my story is EXACTLY the same as yours. I called Smoke House, the FDA in Baltimore MD and, State Vet and spent $11,000 in trying to save my dogs. FDA did not help me at all. They just took my name and information. My younger dog died in August and he was 1-1/2 years old and loved the Smoke House Chicken treats. My treats are currently being tested. I am looking for a class action suit, but understand that you can only sue for the value of the dog and not the value of medical expenses. It kills me that these companies are not held accountable for what they sell. My yorkie, “Winston, ” is fighting for his life tonight and I am holding back tears as I write this. I have no idea if he is going to pull through. We gave him Smokehouse jerky treats from Petco thinking this was “all natural.” What a complete line of B.S. I get sick thinking about the fact that it was us who fed him this horrible product. DO NOT FEED ANY TREATS FROM CHINA TO YOUR ANIMALS, NOT SMOKEHOUSE, NOT BESTROS, NOTHING. We have visited him in the hospital everyday since Thursday and pray that he will pull through. I can’t describe how painful it is when your 5 lb baby is screaming as you leave him in his cage with an IV needle stuck in his little leg. He is so scared and has no idea why this is happening to him. The pain we are feeling is beyond words. We know if at least 2 other cases in our area, and the wonderful people at UC Davis Veterinary Medical Center in San Diego have been tracking over 30 other cases of animals harmed by these treats. I can’t believe this damn product is still on the shelves. Boycott any Smokehouse treat, as well as Petco for distributing products that are killing our pets. Question. Name and address of President/ C.E.O. of Smokehouse Pet Products. Need to return a few items. Thank You.